Ten to fifteen years ago people were scared to buy on-line and on on-line auction websites such as eBay, thinking chances of never receiving the ordered items was high without any way to ever see the item or money back. The web has now evolved and thanks to on-line communities any rip-off is now immediately documented (through direct feedback, blogs and forums). This means that and you usually get something for what you paid for. This does not mean that there are any loopholes and weaknesses in processes that unscrupulous sellers exploit. This article will go through what I call the 'DUMMYRESEND' scam which usually happens when you get a broken item eBay. Most eBay sellers are honest and try to make a decent living and always send the item(s) you order from them because if they don't you get refunded and they get nothing but a negative feedback, you're protected there. But what happens if the item your received (with tracking number) is broken? While most Chinese sellers will propose a full refund for broken items, some will propose to send you a replacement. Given the choice, you should always go for the refund over replacement, you can always reorder a new one if needed. First you need to understand these sellers are making a living on a thin margin and cannot afford to send you a replacement, especially if the courier broke it. This is how the 'DUMMYRESEND' scam was born. If the item is never received, and the seller cannot prove you received it (i.e. with a tracking number), you get refunded. If the item is received damaged, you're supposed to return it for a refund/replacement at your expense. Since shipping costs to China are usually prohibitive, sellers risk getting a negative feedback on eBay and still have to pay for the replacement+shipping of this replacement. The 'DUMMYRESEND' scam solves all issues at once... for the seller. If you wait too longer than 45 days to open a paypal dispute, you're screwed, you're not getting your money back. The two previous steps repeat two, three or four times, each iteration taking from two to four days. A low responsiveness from the seller is a first warning sign: you should be careful. Remember, Chinese eBayers are really responsive, and you normally get an answer within 24 hours. seller: after two to four more days, they acknowledge the item you received is damaged/broken and propose sending a replacement. They also ask you the type of shipping you want and indicate the extra fee you might have to pay for a fast shipping. The point here is to make you wait a couple more days. At this point you still trust the seller and see no reason to open a Paypal case. Remember, if they can get you to wait longer than 45 days without you opening a Paypal case, you lost your money and will never get a replacement. buyer: you chose your shipping method, and possibly pay an extra for a fast shipping (you should not?). seller: (after two to four days), you get a tracking number. 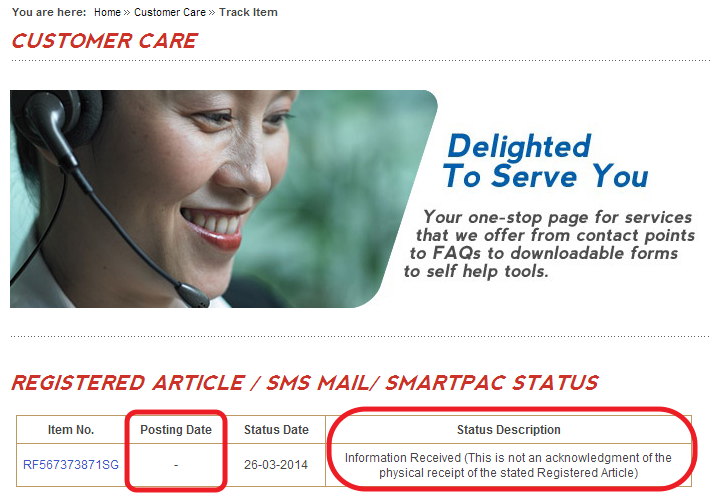 You have to wait a couple of more days to be able to track it on the Hong Kong/Singapore/... mail tracking website where you can read the status: "Information Received (This is not an acknowledgment of the physical receipt of the stated Registered Article)", see picture below. The point here is to make you believe the seller is trustworthy to make you close any potential Paypal case you might have opened, or to prevent you from opening one. 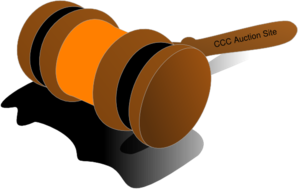 In most cases, if the case escalates, Paypal arbitration will see a tracking number and close the dispute in favour of the seller. buyer: after a week or two, you ask the seller why you can't see anything happen to your tracking number (hint: because the parcel hasn't been sent yet). seller: the seller eventually sends you something (e.g. an empty box or letter) as late as possible. This is to prevent you from receiving the (empty?) package before the Paypal arbitration kicks in or before it is too late for you to provide negative feedback on eBay... and you're out of luck. Never forget to open a Paypal dispute, escalate it for arbitration and provide (negative?) feedback on time. These are your only protection mechanisms. Always choose a refund over a replacement. Never believe you will get a replacement until you actually receive it. You should therefore open disputes/provide negative feedback on time, no matter what the seller tells you. Unregistered mail gives you a better protection than registered mail (!!!) as sellers can use the tracking system to prove they sent you something. Don't waste time before contacting or answering the seller.